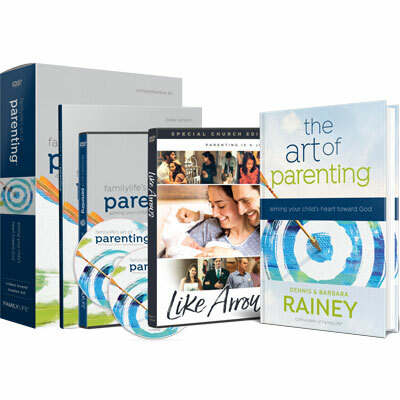 Includes copy of Dennis and Barbara Rainey's new book, plus Like Arrows on DVD! Shopping for the whole group? Check out our Small Group Starter pack and get everything you need for 10 participants. Use the included Like Arrows Church License DVD to host a unique kick-off event with your group. This relatable story of family casts a powerful vision for parents, reminding us that nothing is more important for any family than to have God and His Word directing our lives. Attendees will leave your event knowing it is never too late to connect with the hearts of their children! Buy additional workbooks for your group. Save 26% when you buy a small starter pack. Save 29% when you buy a large starter pack.